Atlanta divorce attorney Nancy Ghertner is a 30-year veteran family lawyer in Atlanta who represents successful clients going through a divorce, and helps them maneuver through the many areas of the breakup of a marriage, including equitable division of large financial assets, child custody (both physical custody and legal custody), child support, postnuptial agreements (postnups), adoption, modification of alimony, and all other divorce matters. Nancy Ghertner has been a family attorney in Atlanta, GA for almost 30 years. Family law is one of the most emotional areas of law in Georgia. Legal agreements between brothers and sisters, husbands and wives, and legal guardians have to be carefully written so that they benefit and protect not only the current family members involved, but also future generations. 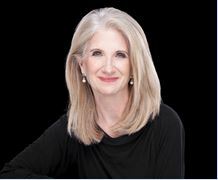 Nancy’s excellence as a skilled and compassionate Atlanta divorce attorney for both uncontested divorce and contested divorce cases means that most of her new clients are friends or family of her existing clients. Over a 30-year family and business law career, Sandy Springs family lawyer Nancy Ghertner has represented clients on both sides of divorce – those who wanted a divorce, and those who did not. Client referrals and repeat clients make up most of the legal practice at the Atlanta family law firm of Nancy N. Ghertner, PC. 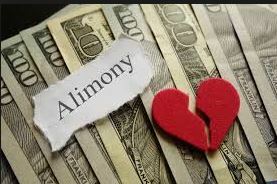 Sandy Springs divorce attorney Nancy Ghertner also can serve as your high asset divorce lawyer, or help you craft a professional pre-nuptial agreement. Speak with Atlanta family lawyer Nancy Ghertner now at (770) 980-9096. Her Atlanta family law firm is centrally located in Sandy Springs, just north of I-285 off Roswell Road on Sandy Springs Circle at the intersection of Wheaton Way. Nancy will talk to you one-on-one to carefully explain your options and advise you on next steps. She offers a free 10-minute phone consultation to get you started. A divorce is never easy, even if both spouses want to end the marriage. If a married couple has children, especially young children still living at home, many legal and custodial arrangements have to be worked out and approved by a judge. If your spouse files for divorce against your wishes, you must have the best legal representation on your side to fight for your rights, and your children’s rights. Now is the time to look at the pending divorce objectively, and try to not let strong emotions cloud your judgment. Atlanta divorce attorney Nancy Ghertner understands how hard a permanent breakup can be, and she will listen to your side of the story with empathy and concern. I believe that my extensive legal experience and my life lessons equip me to help you reach the best outcome possible. I personally have "walked a mile in your shoes" in both Family Law and Business Law issues. I understand not only the legal facts at hand but the stress and emotions that can be involved in Family Law cases. I am also a Business Owner and understand many of the issues that fellow business owners encounter. I GET IT. Family lawyer in Atlanta Nancy Ghertner continues to provide top-notch legal representation, while also being sensitive to the emotional strain her clients may be experiencing during this time. She has helped her metro Atlanta clients receive the best possible resolution to their cases. As a further service to her clients, Nancy provides assistance in Estate Planning, Wills, Probate, and Advanced Directives. Many small and medium-sized business owners have benefited from business lawyer in Atlanta Nancy Ghertner's legal assistance with issues such as: business formation contracts, related agreements, and ongoing legal advice as their business grows.